Homeowners have a difficult job of deciding how to maximize their property's potential. They have to maintain a balance of doing what they need to feel comfortable and doing what they need to make future buyer's comfortable, which can be a tall order for anyone. It's helpful to understand how buyers view the home before diving into the average returns a seller will get from their specific home improvement projects. The structural unity of the St. Petersburg Beach home is the most important factor when it comes to whether or not it will generate solid interest. In other words, don't update your bathroom fixtures if there's an unstable tree located right outside the master bedroom's window. Unless the property is located in a clear seller's market, a buyer isn't going to want to put their own money into repairs if they don't have to. Flippers and bargain hunters may only buy a home if they think they'll get an incredible deal. Ideally, these structural values will be shared by the individual homeowner too, but it's all too easy for homeowners to miss some of the home's more obvious flaws due to the strong bond they have with the structure. A potential buyer usually makes up their mind about a home before they even step foot inside it. A poorly tended lawn or a decomposing exterior can be enough to turn them off entirely to making an offer, the curb appeal of a home is not something to overlook. That's why replacing the siding can yield up to 93% of the total cost, and replacing the roof and windows can return an average of 80%. Homeowners can also consider replacing an old garage door to provide additional security to the new owner or adding more space to their current deck for better entertaining. When tackling these projects, consider the fact that buyers can spot inferior materials (even if they can't define them) from a mile away. Composite wood on a deck yields an average of 6% less than real wood, so it helps to spring for better quality if the additional cost isn't prohibitive. Kitchens are undoubtedly the place to show off a home's functionality, which is why they're touted as one of the easiest ways to increase the resale value of a home. And yet, it is possible to lose money on a kitchen remodel if owners don't understand the rules. 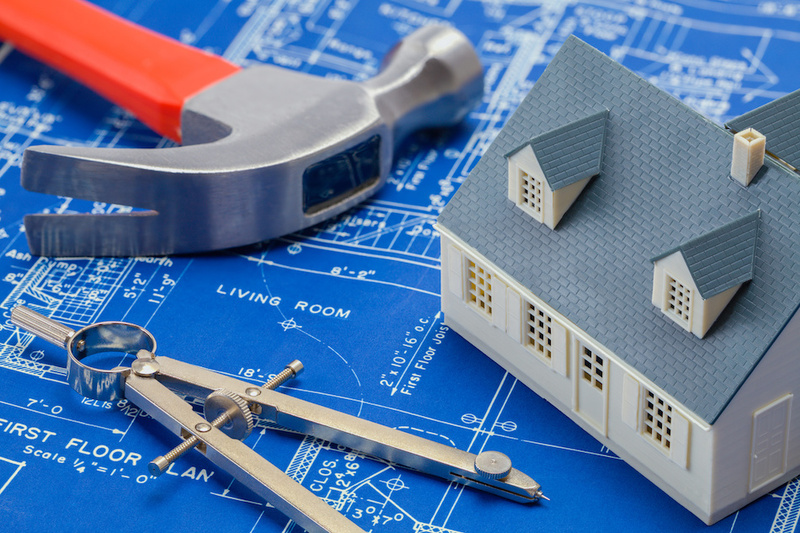 In general, an owner is better off performing a minor remodel than a major renovation. Major remodels return about 60% of the original investment while minor updates will recoup about 80%. Unless the homeowner is remodeling only for themselves, it helps to keep their expectations in check. The only possible exception to this rule is if the home is located in an area that's increasingly becoming more in demand. Bathrooms that look like they've seen better days will undoubtedly benefit from a spruce. Homeowners can repaint, replace broken or old tiles, or change out old bulbs for softer lighting. A very basic remodel will return about 70% to the owner. However, just as with the kitchen remodels, owners should reign in their wallets before they go too far. An easy way to balance the budget is to stay in touch with the property values of an area. While there's some leeway to how much homes sell for in a neighborhood, there's usually a cap that homeowners can rely on to help them make decisions. So if the home is worth $100,000, it's practically impossible for expensive bathroom appliances to bump the value up to $150,000. Insulation is a magic word when it comes to home improvement projects because it has the ability to save the homeowner quite a lot of money on their energy bills. Homes with older insulation will pull conditioned air directly to the outdoors, which is why new insulation typically returns more than 100% of the value. Insulation standards change constantly, which is just one reason why those with newer homes aren't immune to this project. If an owner doesn't want to do a full insulation replacement, they can start by having the air bypasses inspected to see if they need to be resealed. Before choosing which home improvement project is the best to tackle, it helps to understand which ones are most likely to yield the highest returns. It starts with setting the right priorities before getting started. Adding a second story or a third bathroom may be the key to securing the perfect offer, but not if the roof is starting to fall apart at the seams.